We had a fantastic day at Dalbeattie GC in this afternoon and a huge thank you to the club for the courtesy of the course, which was in perfect condition. 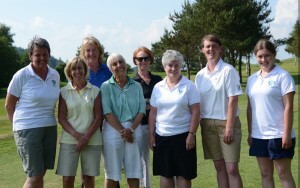 The winners with an excellent score of 67 (11) were Sheila McMurtrie & Jane Johnstone. Please find full results posted on the Competitions – Results page. This entry was posted in Uncategorised on 5th June 2016 by admin.